Crystal wire wrapped medallion earrings. These earrings are 1 1/2 inches in width and 2 inches in length. 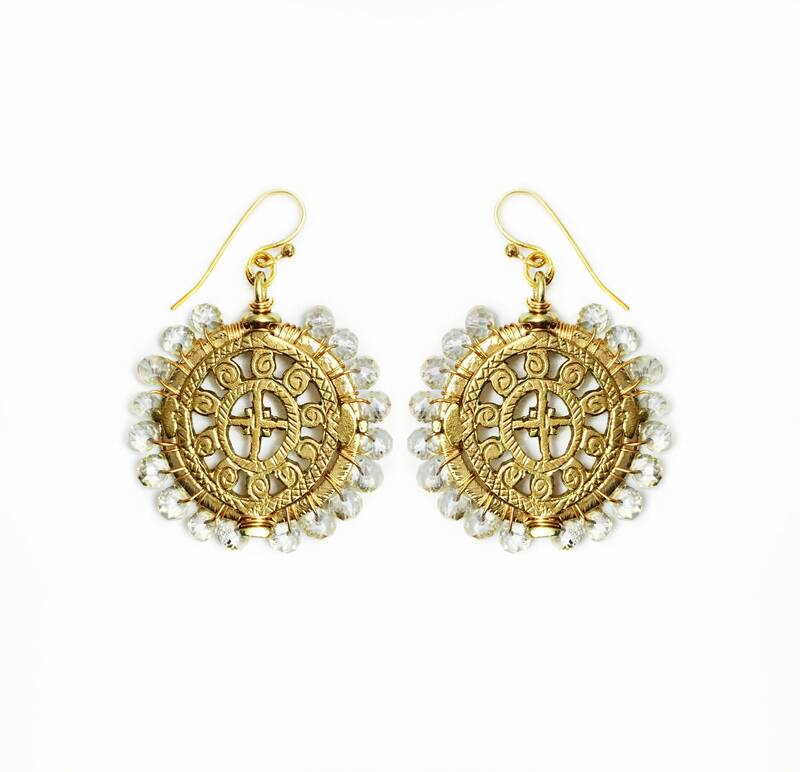 The earrings are light in weight and comfortable to wear and are a great earring for any occasion. They are also perfect for gifting during this holiday season!